In the days before we were the River Dog and the River Hag. 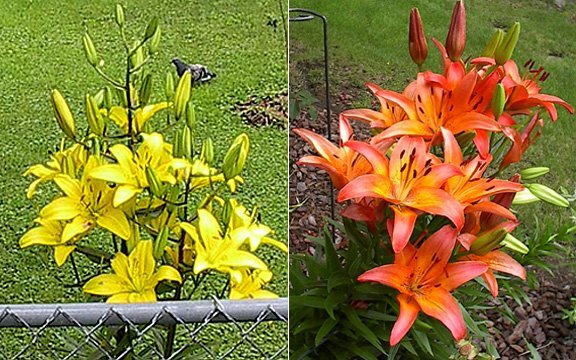 Notice how differently the camera's autofocus changed the lighting of these lilies. The brightness of the lemon-lilies messed it up. The tigers make a nicer shot. Love my lilies! So why go inside?